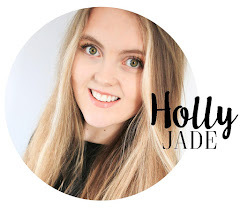 To celebrate the release of the new Disney Winnie the Pooh movie 'Christopher Robin', I wanted to make one of my favourite Winnie the Pooh characters into macarons! 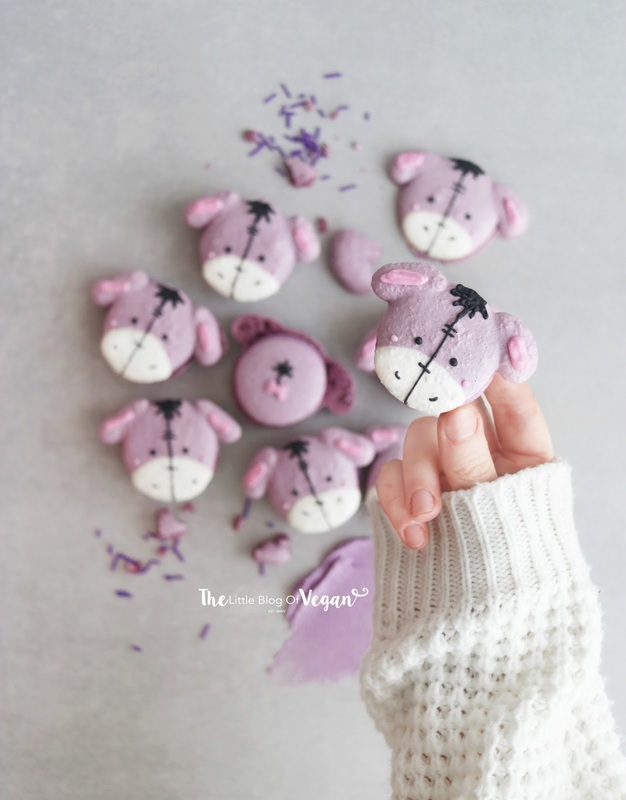 I have loved and been a fan of Eeyore since I was young, I still have a toy Eeyore which sleeps on my bed with me (yes, I am 21)- haha! Only seemed right to make him first. 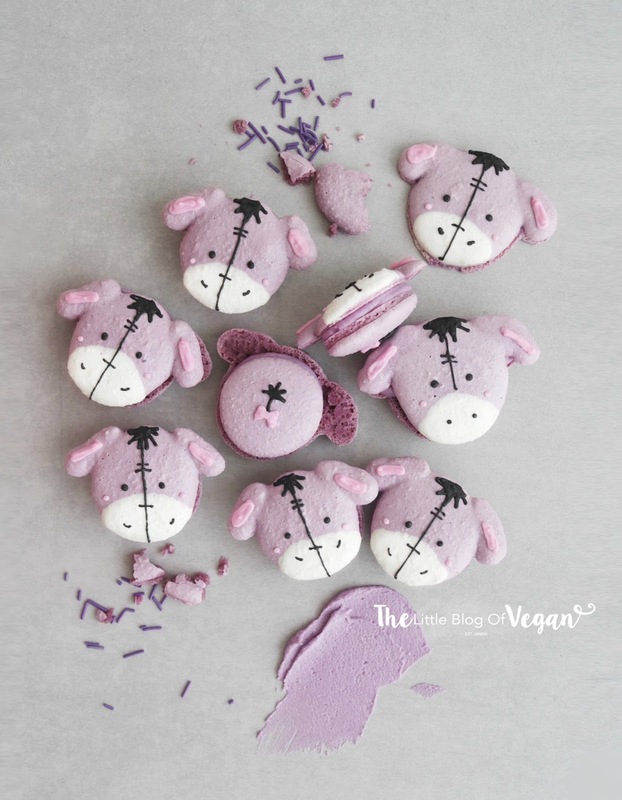 These macarons are a blueberry Eeyore macaron, with a blueberry filling, decorated with my homemade royal icing. Yummy!!! These macarons are easy & simple to make, which come out with perfect feet (risen base of a macaron which macarons are known for)! 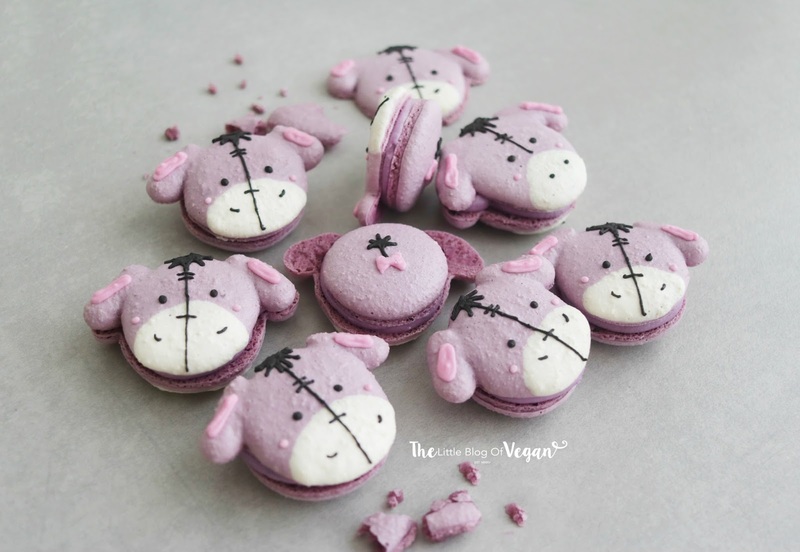 I had so much fun making these adorable, yet delicious Eeyore macarons. I chose to colour him a lovely purple just like in the original cartoon, but if you wanted, you could add a hint of blue for a more classic look. These macarons would be perfect for special occasions, Birthday's or to make & enjoy for the new 'Winnie the Pooh' movie! 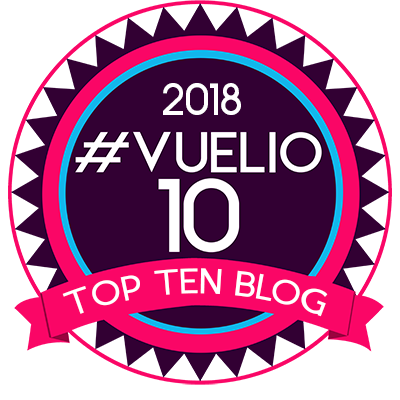 I am so excited to see it! 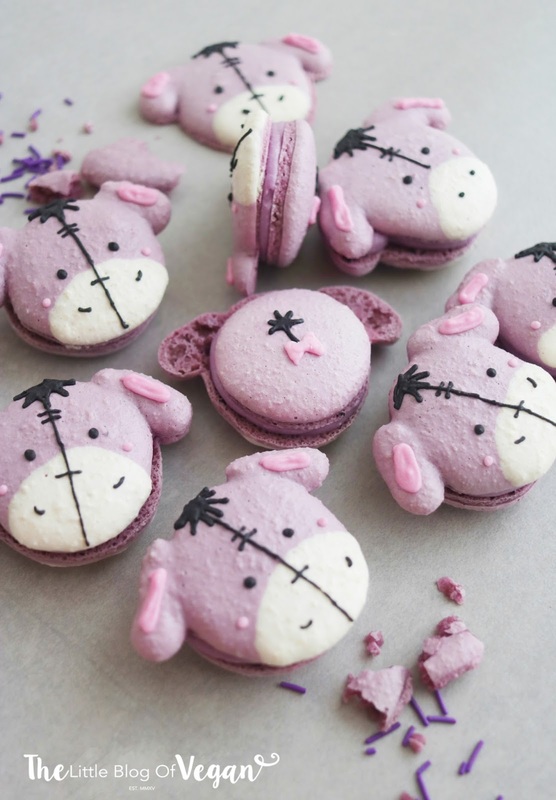 Make sure you leave a macaron spare for Eeyore to enjoy, I'm sure he'll love them too! 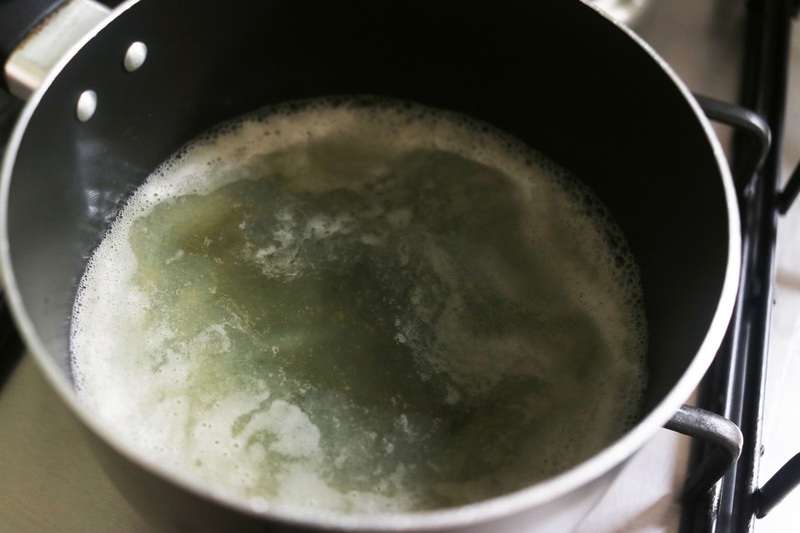 Step 2- Place the chickpea brine into a mixing bowl and whizz up on high until fluffy, then add in the cream of tartar. Step 4- Sift and fold in the ground almonds & icing sugar. 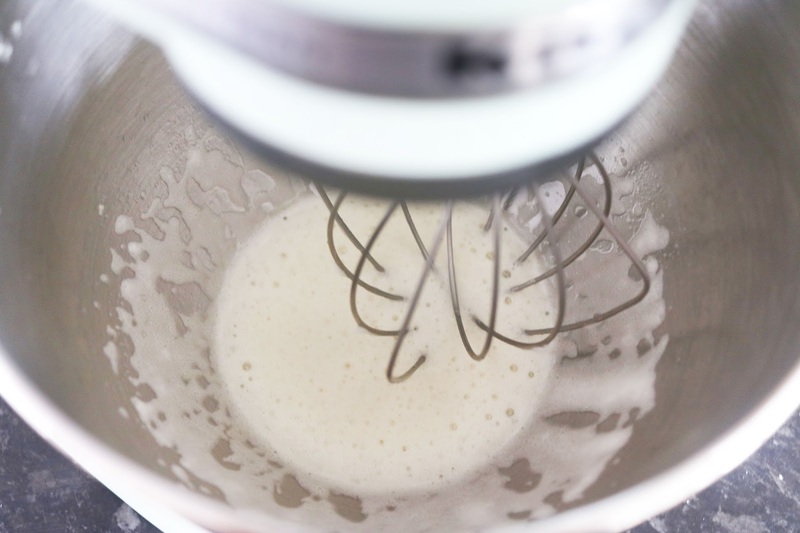 Step 5- Separate a small amount of batter into a separate bowl. 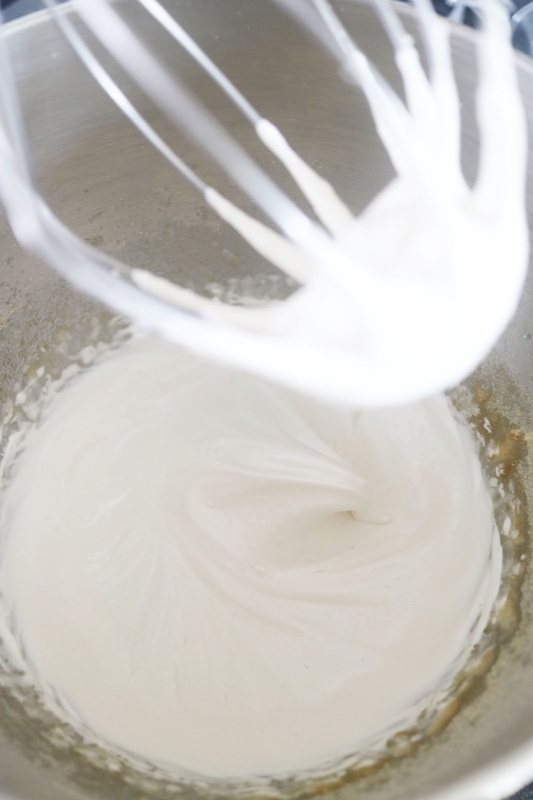 Step 6- Leave the small amount of batter plain white and add some purple food colour to the large amount of batter. Step 7- Line a baking tray with grease proof paper. Step 8- Transfer the mixtures into piping bags and pipe 3-4-inch round circles of the purple batter on the lined tray, then swirl the tip off to one side. With the white, add half a circle for the snout and more purple for the ears (as in the photo below). Step 9- Tap the tray firmly against counter 2 or 3 times to release any air bubbles. ALLOW THE MACARONS TO STAND AT ROOM TEMPERATURE FOR 1 HOUR, until you can touch the top of the macaron and no batter comes off on your finger. Step 10- Heat the oven to 110 degrees c.
I like to bake my macarons on 2 baking trays (stacked) as this helps them get feet which macarons are known for. Pop the macarons into the oven and bake for 15-20 minutes, or until they are set but not brown. 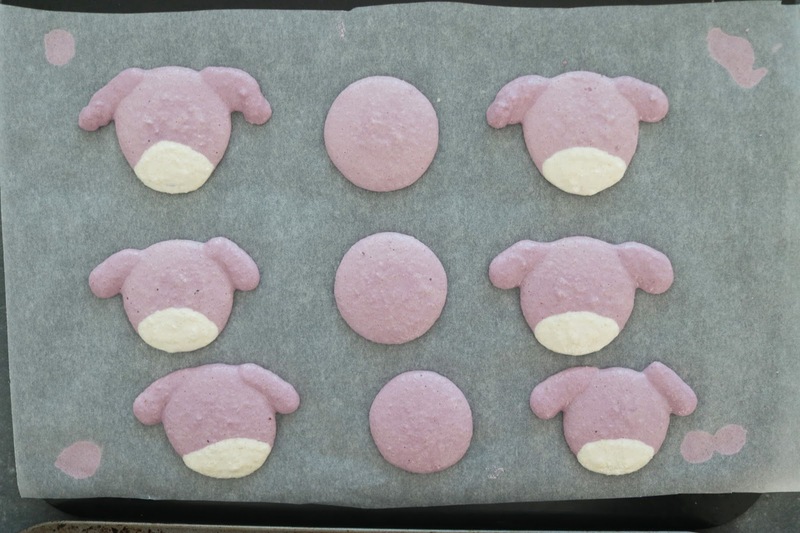 Step 11- Once they've baked, turn off the oven and leave the macarons in the oven to cool slightly (around 5 minutes). 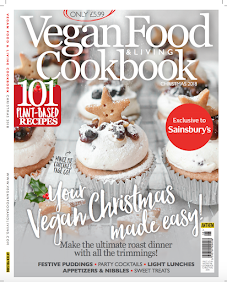 Step 1- In a bowl or stand mixer, cream the butter on high then add in icing sugar, blueberry jam and purple food colour. Add milk if it's too thick. You want the filling to be light and fluffy so it doesn't break the macarons. Step 2- Transfer the filling into a piping bag fitted with a round tip nozzle. I decorated my macarons with royal icing details. 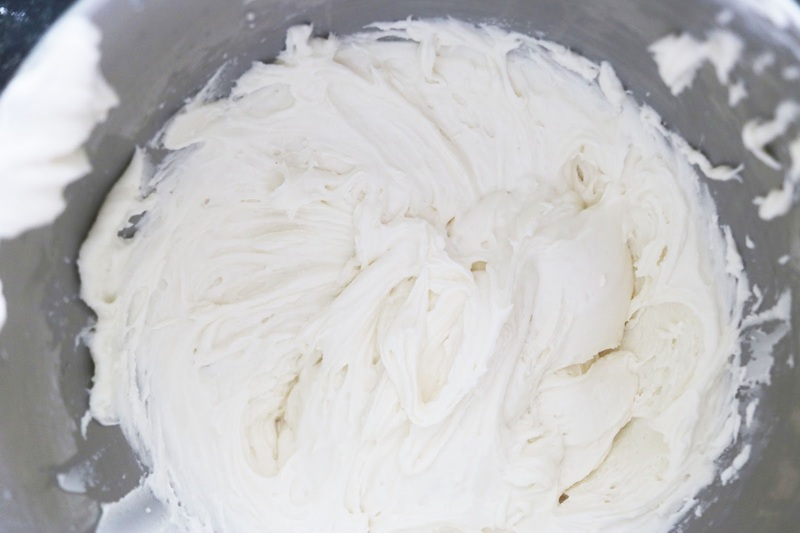 Get my quick & easy vegan royal icing recipe here. 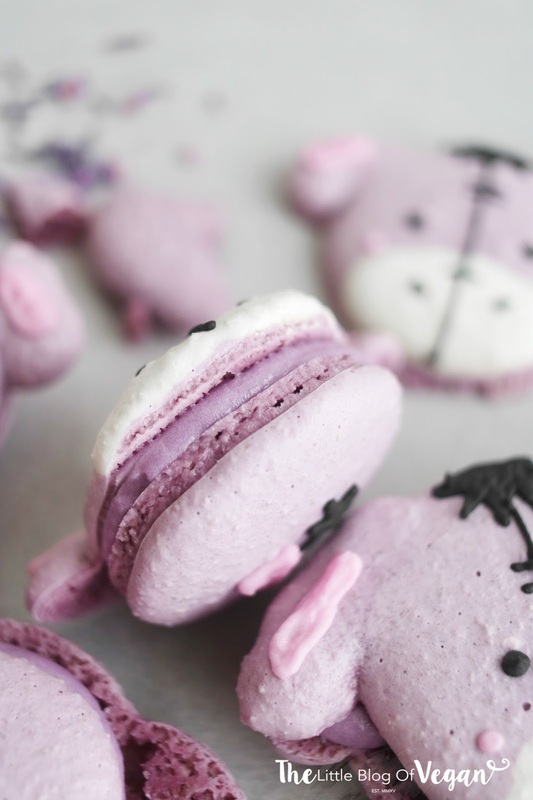 These macarons are simply adorable!